Behold the Land of Reptiles, home of the queen and king reptiles. 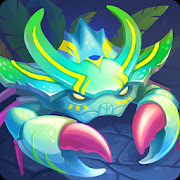 Team up with the world and challenge these fearsome reptiles with the legendary king crabs. Earn honor and collect king crab parts to customize your king crabs!